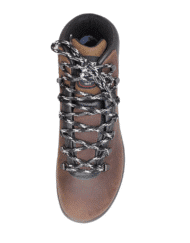 The sporty looking Grisport womens Cyclone is a really popular lightweight fabric and suede leather hiking & trekking boot. 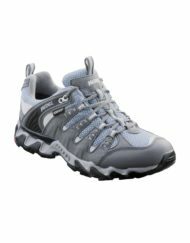 The Cyclone is waterproof and breathable, and has a cushioned mid-sole for extra comfort. Guaranteed comfort straight out of the box. Waterproof and Breathable Membrane Lining: The Cyclone boot benefits from GriSports branded ‘Spotex’ waterproof and breathable membrane with taped seams, this lines the boot ensuring your feet stay dry, whilst still allowing them and the leather to breath. Thus ensuring your feet stay comfortable and dry. 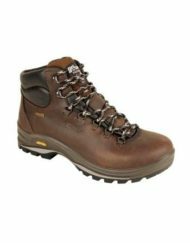 Cordura Durability: Cordura is a performance fabric and a key element in all high quality hiking boots, it is renowned for its durability and resistance to tear and puncture. 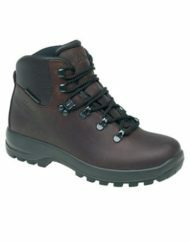 Footwear manufactured in this super fabric will guarantee you many years of walking comfort and enjoyment. 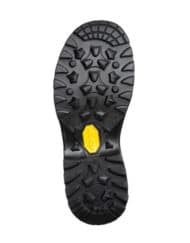 Vibram Sole: Acclaimed as the most durable and effective outdoor footwear soles in the world, Vibram soles are made from reassuring slip and shock proof rubber.